Grettel Landrove, one of only three survivors of Friday’s crash, died in a Havana hospital. Two other women remain in a critical condition. 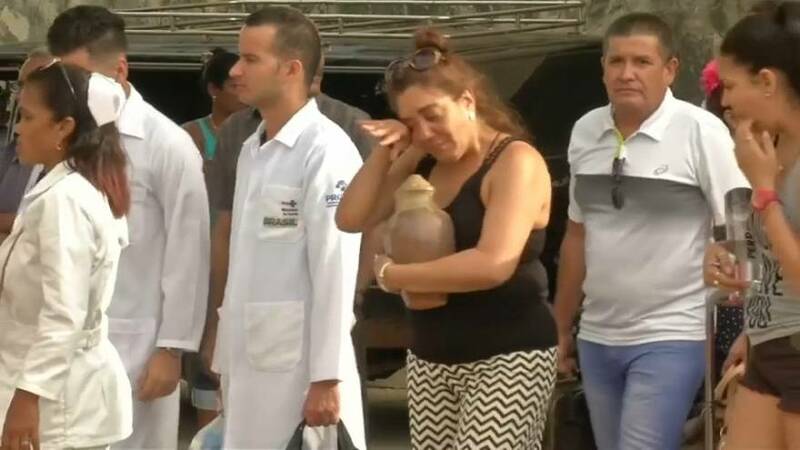 The airliner crashed shortly after takeoff on a domestic flight from Havana to the eastern city of Holguin on Friday in one of Cuba's worst air disasters. The plane was a Boeing 737 built in 1979 and leased to Cuba's flagship carrier Cubana by a little-known Mexican company Damojh. As relatives were allowed to collect their loved ones’ possessions, Mexico's civil aviation authority said it had suspended the operations of the company while checks were carried out. The authority investigated again in 2013 after receiving a complaint from Marco Aurelio Hernandez, who was identified at the weekend by Mexican media as a former Damojh pilot. Hernandez was quoted by Mexican newspaper Milenio as criticising Damojh for a lack of adequate maintenance on its planes. The 2013 probe led to a suspension for about two months.